Our Director, Oliver, was interviewed by Sumita Sarma for her radio programme on wine and drink. Listen here. 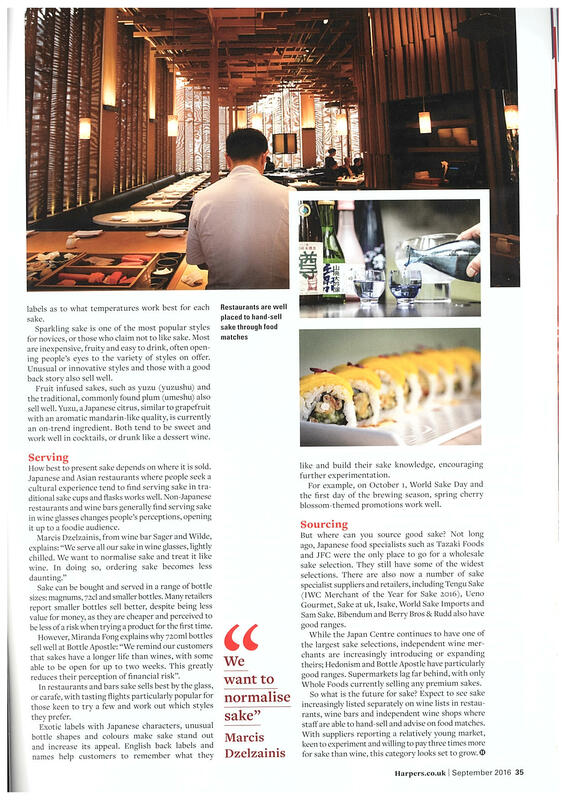 Review of our sake dinner at ROKA Mayfair in Lady Magazine. Press about the new Anzu restaurant in London’s St James’s. 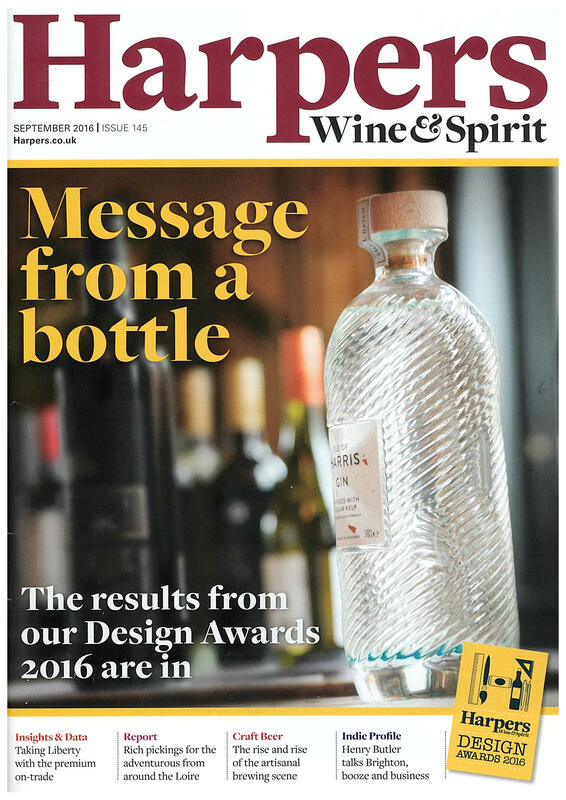 Mentioned in this month’s Harper’s magazine as well as our customers Sake no Hana, Hedonism Wines, Kurobuta and Sager + Wilde. As well the sake course our Director co-presents the International Kikisake-shi. A shout out in an article with Scott Hallsworth. We supply his delicious Kurobuta restaurants. 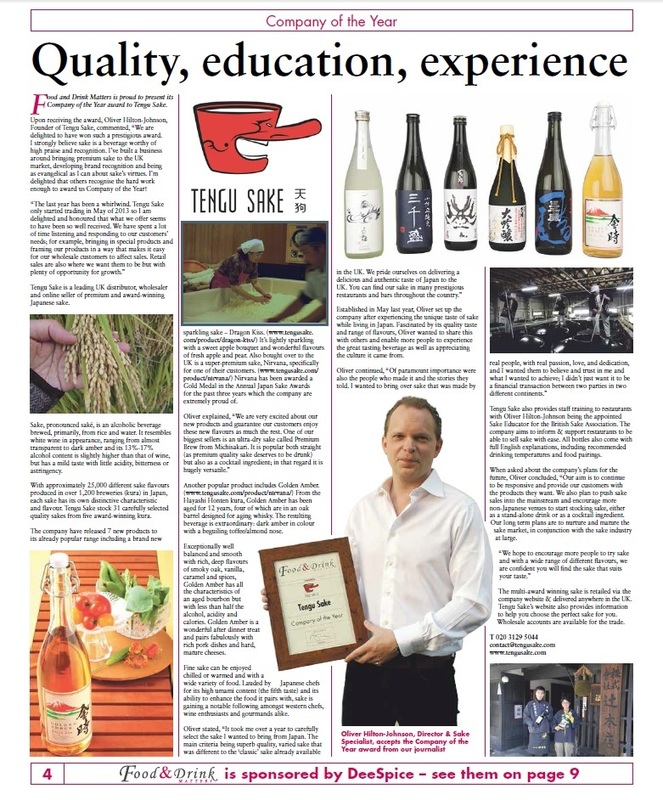 Konishi Gold is mentioned in the Metro newspaper as one of 5 ‘sakes to try at home’ (NB – Jinzu is NOT sake, grrr!) Article here. 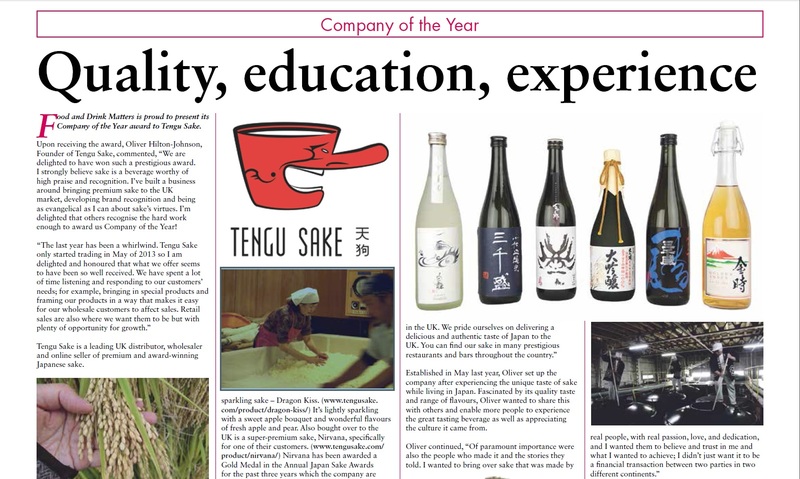 Article in the Museum of Sake Journal where our Director talks about his time brewing sake in Japan. 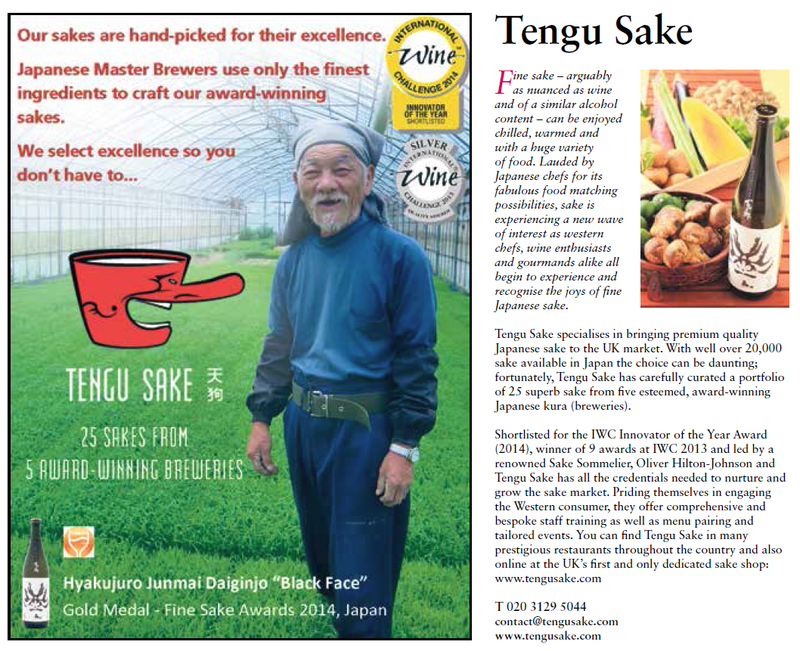 Two article about aged sake in Harpers (we have two, find them here & filter by ‘aged’). Article: aged sake part 1 and aged sake part two. Awarded Company of the Year by Food and Drinks Matters. Page, detail 1, detail 2. 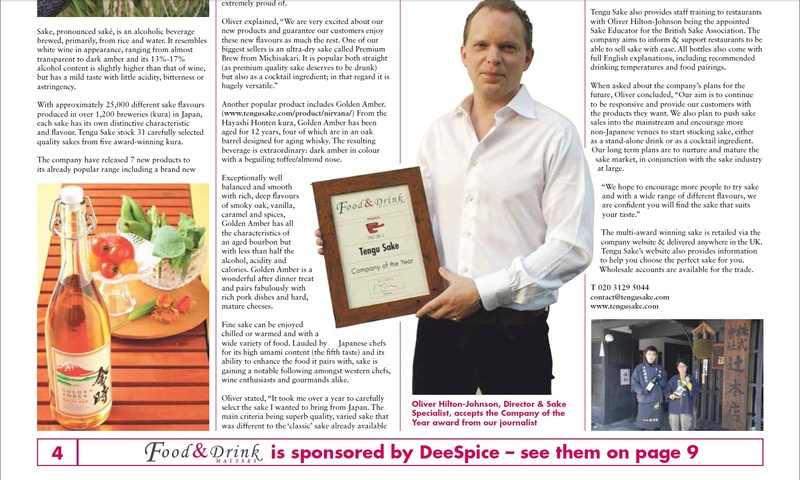 “Tengu Sake’s Oliver Hilton-Johnson on driving sake sales in the UK” – Tengu Sake has been shortlisted for an ‘Innovator of the Year’ award, seemed like a good time to be interviewed by Harpers! “Cracking Sake Selection” – a review of Kurobuta restaurant calls our sake ‘cracking’! “Kanpai! 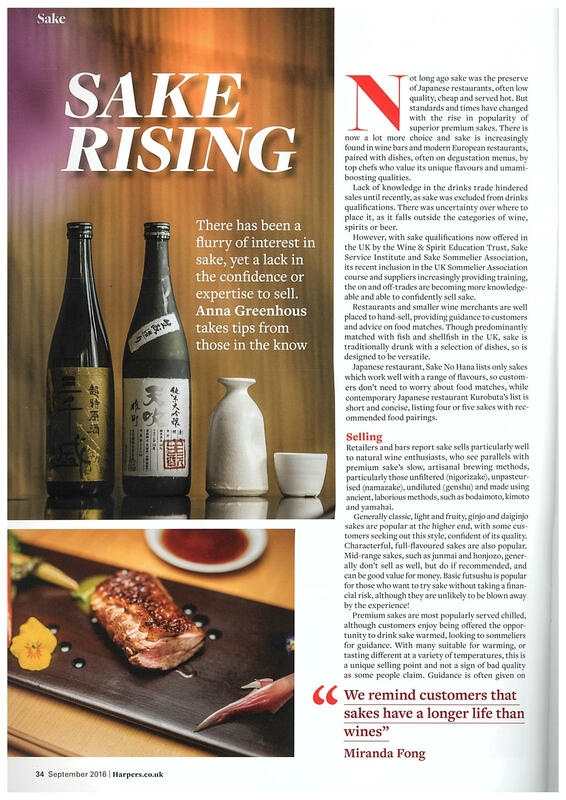 Spirited Away by Sake” – feature on sake by Will Lyons for the Wall Street Journal. I take Will on a “sake odyssey”.